28. 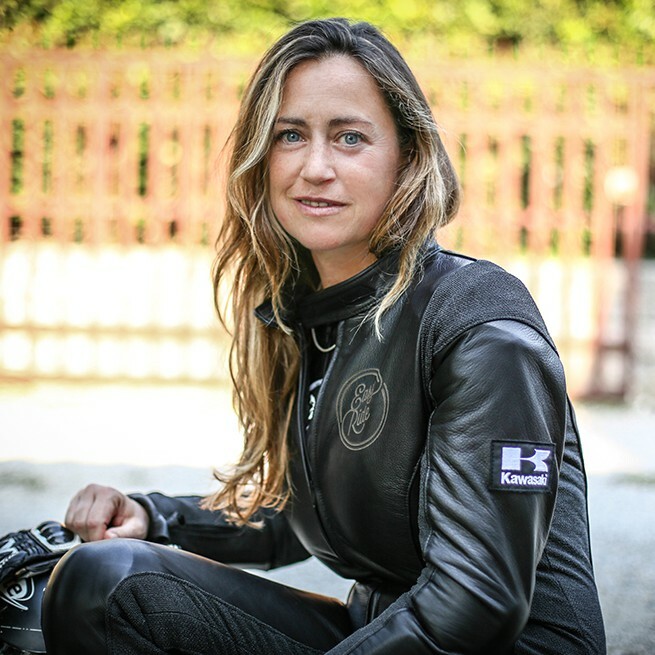 August 2015 In Leather gear "Francesca"
For the finishing touches, the team traveled to Verona again and presented Francesca Gasperi the finished suit. At the last fitting before the premiere at Glemseck 101, arm and leg cuffs were tuned to Francesca’s gloves and boots and position of the protectors were checked. Everything fits. Glemseck 101 may come.